Ready for a Hawaiian jungle adventure? 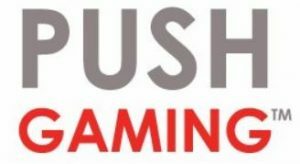 Push Gaming is inviting all British players to have a spin on one of their latest releases and to play an unlimited amount of Free Spins! If that sounds like a game you’d like to try, then read the review for Tiki Tumble below to know more about it! To sum up, this video slot has two main features we’d like to highlight, and below you’ll find more information about them. So, let’s start with the Nudging Wild feature since you can trigger it in both the main game and in the Free Spins bonus. The Nudging Wild are pretty easy to understand. Indeed, know that every time a Wild symbol lands on the reels it’ll move downwards and leave behind a trace of wild. Which means they’re very similar to the Falling Wilds you’ll find in Divine Fortune video slot by NetEnt. The second feature we’d like to bring to your attention is, of course, the unlimited Free Spins! In fact, it’s worth pointing out that when you play this slot, you’ll spin as long as Wilds appear on the reels. What’s more is that once no more wild are in view, you’ll have a second chance spin to try to get more Wilds before the bonus ends. Additionally, it’s worth knowing that the Free Spins bonus will kick off with 2 Stacks of wilds symbols on the second and fourth reels. And a random multiplier of 1x, 2x, or 3x which will also increase as you win. Naturally, given the nature of the bonus game, you cannot retrigger the Free Spins within the bonus. All and all, Tiki Tumble by Push Gaming is a very well balanced slot, and it offers an excellent gameplay that all levels of players will enjoy. What’s more is that the RTP sits within average and the Nudging wilds feature honestly adds to the gameplay. Not to mention that the Free Spins bonus is impressive since lucky players will have the chance to win huge multipliers and spin for free for a very long time. Push Gaming slots are becoming increasingly popular in the UK, and given how good this game is it’s no surprise! What’s more is that this February 2018 release is also available in mobile casinos! So, why not giving it a spin today and claim a casino bonus to have more money to play with! Good luck and have fun!